The plan includes customer-friendly updates, including a downtown shuttle bus circular, originating at the Austin Convention Center that will drop guests at COTA for only $5 per person, plus two new Park + Ride locations within three miles of the racetrack property. 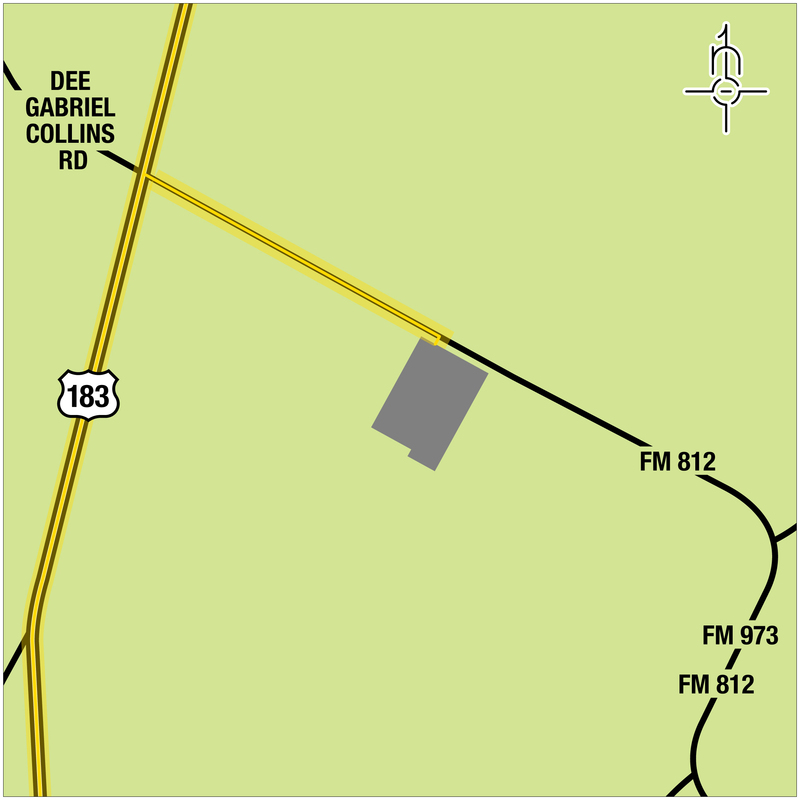 FM 973 Park + Ride (RED LOT): Intersection of FM 973 and Burleson Rd. Park + Ride lots will open at 7 a.m. CT daily, and shuttle buses from those lots will drop patrons at COTA’s shuttle bus depots on McAngus Road, just one-half mile from COTA’s Grand Plaza entrance. This year, COTA is offering round-trip shuttle service from the Austin Convention Center downtown to the racetrack and back for only $5 per person, per day. Race goers staying in downtown hotels are encouraged to leave their vehicles parked in the downtown area, walk to the Austin Convention Center, and take advantage of the inexpensive round-trip shuttle to COTA. Downtown shuttles will drop passengers at COTA’s shuttle bus depot on McAngus Road, just one-half mile from COTA’s Grand Plaza entrance. NOTE: The Austin Convention Center is not a Park + Ride location, and there will be no designated parking areas for patrons at the Austin Convention Center. 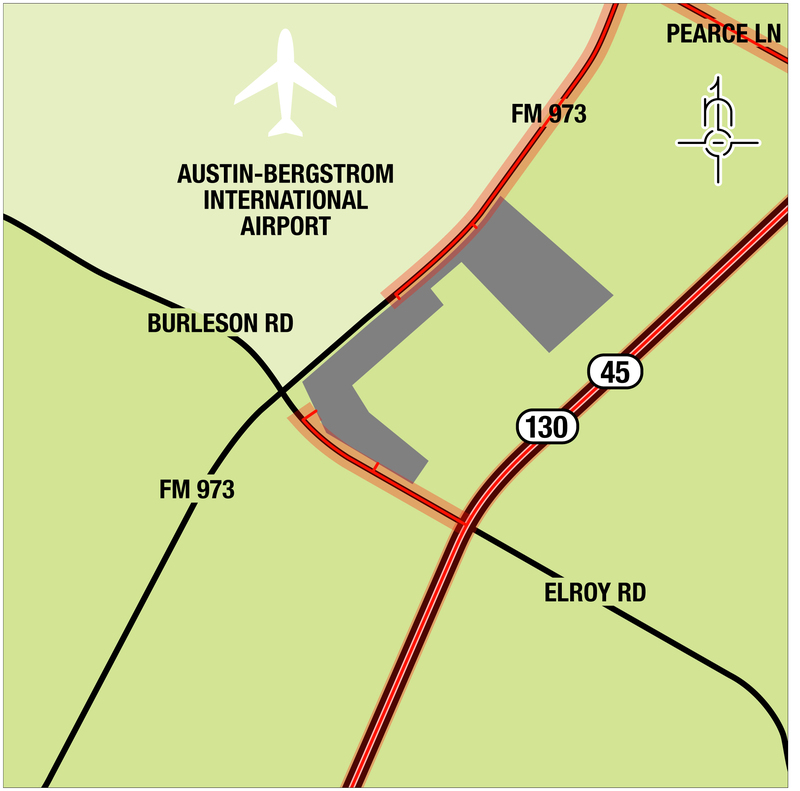 Consequently, race fans should be prepared to park elsewhere in the downtown area and then walk to the Austin Convention Center to pick up A shuttle to COTA. Again, the cost per person is $5 per day. 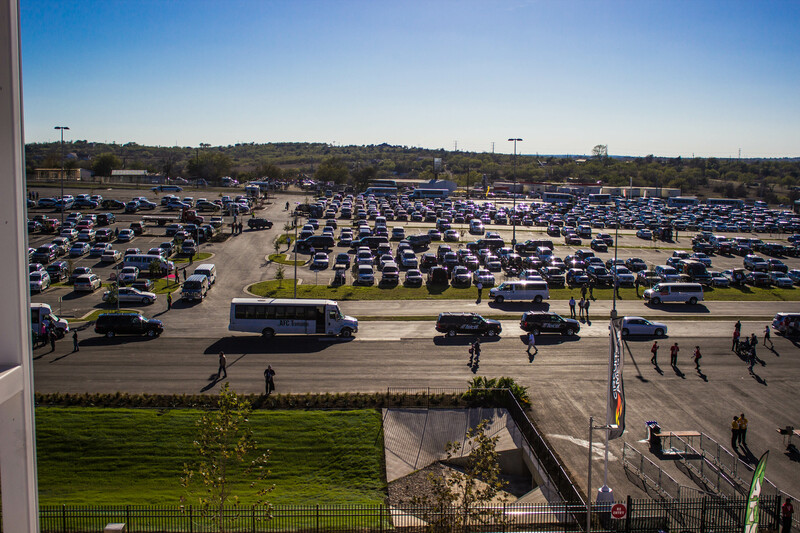 COTA has 13 on-site parking lots available for patrons interested in parking at the venue. A limited number of three-day and single-day on-site parking passes still available for purchase at www.circuitoftheamericas.com/f1. The cost for a three-day on-site parking pass is $200, while single-day on-site parking passes can be purchased in advance for $50 per vehicle on Friday and $100 per vehicle on Saturday and Sunday. Guests are encouraged to purchase parking based on the available lot closest to their seating area. On-site parking lots will open to the public at 7 a.m. CT during the race weekend. Guests who purchase on-site parking passes will receive specific instructions for how to access their assigned parking lots during Grand Prix weekend. Taxis, limousines, charter bus and hire-car services with the proper permits can transport ticketed customers to COTA. Designated routes will be assigned to each for-hire vendor. Taxis will stage in a designated taxi pick-up area and will be available to transport race fans off site throughout Grand Prix weekend. Given the additional tourists in town for the FORMULA 1 UNITED STATES GRAND PRIX and the University of Texas football game scheduled for Saturday, Nov. 16, taxis are also a good option for race fans staying in the downtown area to access COTA. Cyclists will have a designated route from the downtown area along Burleson Road to a Valet Park + Ride location at Richard Moya Park (on Burleson Road at Emma Browning Ave.). From the Valet Park + Ride location, cyclists can take a free shuttle to the Circuit. There will be complimentary showers available at the Valet Park + Ride for cyclists. COTA will run internal shuttle buses on two sides of the venue to help transports guests, staff and working media. One shuttle will run a continuous circuit along the outer service road on the west side of the venue, from the Grand Plaza to Turn 11 and back, while a second will do the same on the south side of the venue, from Turn 1 to the Main Grandstand to the Grand Plaza and back. Internal shuttles will have designated pick-up/drop-off points to transport guests who prefer not to walk to seating areas or points of interest around COTA. 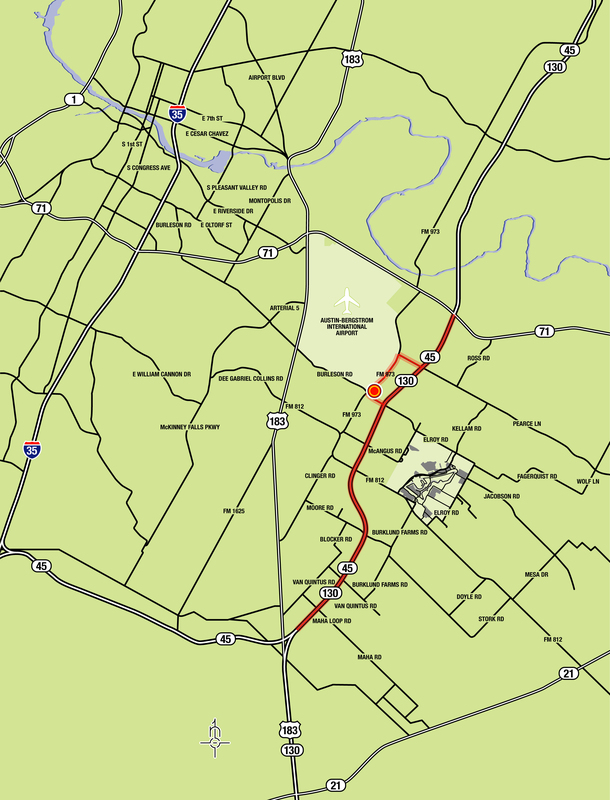 Internal shuttles will not be available on the east side of COTA (Turns 2-10) in order to keep the outer service road there open for emergency and service vehicles. Additionally, COTA Guest Services representatives in designated ADA Golf Carts will be stationed in on-site parking lots and at shuttle bus depots to assist guests with mobility and accessibility issues. COTA’s ADA shuttles will transfer ADA guests to and from their seating areas throughout F1™ race weekend. COTA’S 2013 F1 transportation plan is fully accessible and incorporates key customer feedback and takeaways from the facility’s first Formula 1 Grand Prix in 2012. Moving Park + Ride locations closer to the track has decreased transport times for Park + Ride guests and allowed COTA to significantly reduce the number of shuttle buses needed for the weekend. 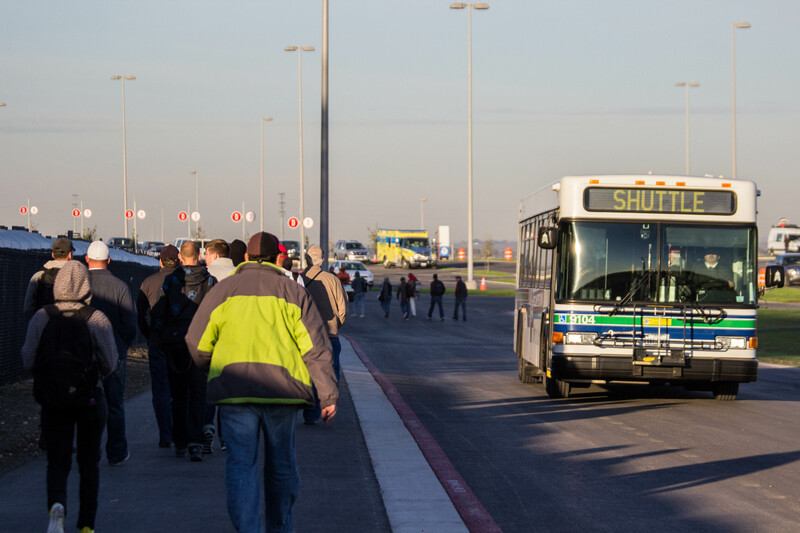 Approximately 300 shuttle buses rented from organizations in surrounding cities will be utilized during this year as opposed to the nearly 500 buses that were required last year when Park + Ride locations were further from the track. Should heavy rains make any of COTA’s Park + Ride and on-site parking lots unusable, patrons will be directed to park at the Travis County Expo Center in northeast Travis County and will be shuttled to the track from that location. In the event of inclement weather, COTA will notify patrons about alternative parking plans in advance of each day’s activities. “Our team of experts in conjunction with City, County and State public safety and transportation officials put together an exceptional transportation and traffic-management plan for our first Formula 1 event, and we learned a lot last year,” COTA Chief Executive Officer Steve Sexton said. “We’ve made refinements to this year’s plan that will improve the customer experience by offering a free downtown shuttle for guests and by shortening the amount of time it takes to get to and from the venue for those who chose to drive themselves. Do not bring prohibited items on shuttle buses; there will be no place to store them at the COTA’s entry gates. A list of prohibited items is available at http://www.circuitoftheamericas.com/prohibited-items.